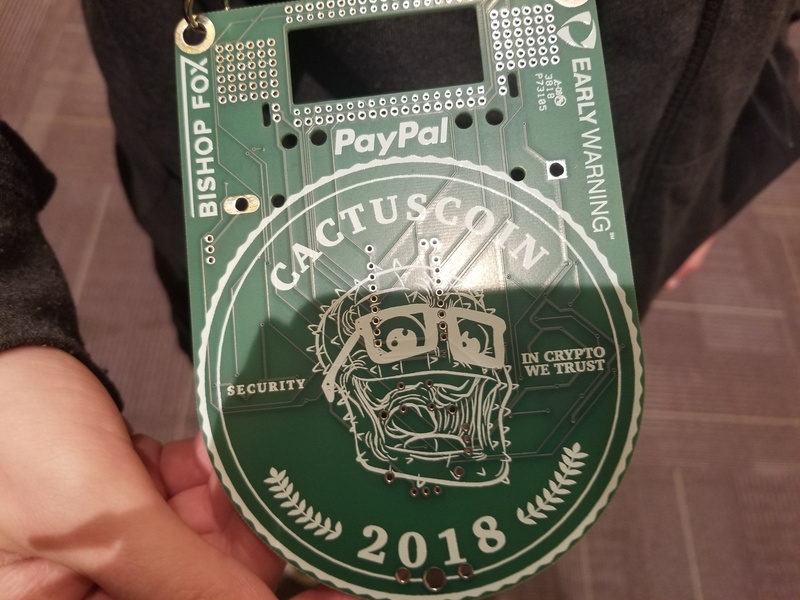 I had a blast at Arizona's premier cyber security conference CactusCon, where I learned a lot about cyber security trends and tools and met a lot of cool people. The first thing I did was go to the lockpick village. I was surprised to find out I could still pick locks and have fun doing it. Being knowledgeable about lock picking helps you understand basic security principals because you identify what makes a lock secure and how to identify and fix various vulnerabilities. I spent most of my time attending a capture the flag (CTF) event, which was really challenging. The concept of a capture the flag event is to try to find a file on a network. The goal of this specific game was finding different user passwords. The Badges where also cool because you did the wire soldering yourself, which can make for a cool project. Different vendors had tables set up with info on new projects, services and resources, which was a good method for obtaining different information about industry trends. I also got to connect with top cyber security employers such as Bishop Fox, American Express, Early Warning Services and PayPal. Their representatives were friendly and helpful and offered insight into their hiring processes and needs. After the conference, I got invited to a dinner with one of my friends and some people I meet at DEF CON. It was very insightful to hear their different perspectives on the industry. Picking up these tidbits is my favorite part of attending these conferences. Being able to start networking and talking to people in the industry that I am trying to go into is invaluable. I make these opportunities for myself because I put myself out there and typically attend conferences and events with friends. Pro tip: I recommend going to a security conference with other people. Want to study cyber security and crush CTFs with me at UAT? You can find more info about our network security degree program here.